Princess Marie Louise was briefly mentioned in another thread (perhaps a William and Kate thread). They were British Princesses who were the daughter of Helena of the United Kingdom (daughter of Victoria) and Christian of Schleswig-Holstein. 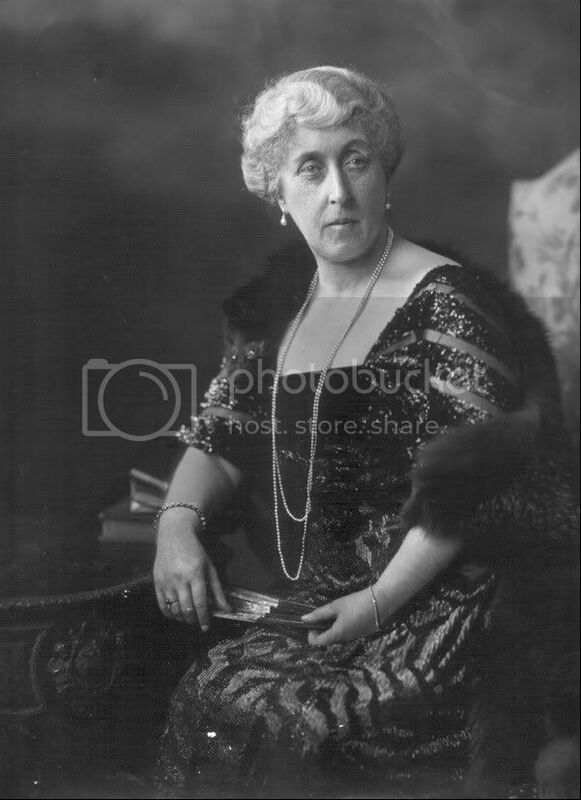 To me, Marie Louise is well known for three things: 1) her short marriage to Prince Aribe of Anhalt 2) her book....My Memories of Six Reigns and 3) after 1917, she was known as HH Princess Marie Louise and that was it. So I thought it would be interesting to discuss to these two Princess. 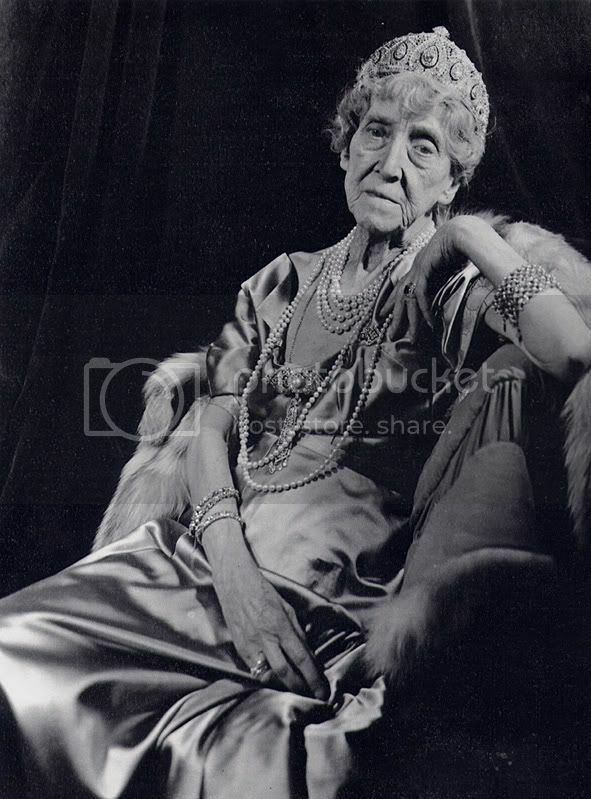 .. .. . . . . . .... . .
formerly Princess Marie Louise of Schleswig-Holstein (12 August 1872 – 8 December 1956), a member of the British Royal Family and a granddaughter of Queen Victoria. Princess Marie Louise was born at Cumberland Lodge, in Windsor Great Park. Her father was Prince Christian of Schleswig-Holstein, the third son of Duke Christian of Schleswig-Holstein and Countess Louise of Danneskjold-Samsøe. Her mother was The Princess Helena, the fifth child and third daughter of Queen Victoria and Prince Albert of Saxe-Coburg-Gotha. Her parents resided in the United Kingdom, and the Princess was considered a member of the British Royal Family. Under letters patent of 1866, she was styled Her Highness Princess Marie Louise of Schleswig-Holstein. She was christened on 18 September 1872. Her godparents were The Emperor of Austria and The Queen of Hanover. On 6 July 1891, Princess Marie Louise married Prince Aribert of Anhalt (18 June 1866 – 24 December 1933) at St. George's Chapel in Windsor Castle. Prince Aribert was the third son of Frederick I, Duke of Anhalt, and his wife, Princess Antoinette of Saxe-Altenburg. The bride's first cousin, the German Emperor Wilhelm II, had been instrumental in arranging the match. The marriage, however, was unhappy and childless. (Years after the fact, it was debated that Aribert was homosexual and had been caught in bed with a servant, either by Marie Louise or his father.) In December 1900, her father-in-law used his prerogative as reigning Duke of Anhalt to annul the marriage. Princess Marie Louise, on an official visit to Canada at the time, immediately returned to Britain. According to her memoirs, she regarded her marriage vows as binding, so she never remarried. Her memoirs do, however, indicate rage over her marital experience and an obvious dislike of her former husband. After the annulment, Princess Marie Louise devoted herself to charitable organizations and patronage of the arts. She inspired the creation of Queen Mary's Dolls' House to showcase the work of British craftsmen. She established the Girl's Club in Bermondsey that served as a hospital during World War I. She was also active in the work of the Princess Christian Nursing Home at Windsor. In July 1917, when George V changed the name of the British Royal House from the House of Saxe-Coburg-Gotha to the House of Windsor, he also requested that his numerous cousins and in-laws who were British subjects discontinue using their German titles, styles, and surnames. Never taking other titles or surnames, Princess Marie Louise and her unmarried sister, Princess Helena Victoria, became known simply as "HH Princess Marie Louise" and "HH Princess Helena Victoria," giving them the odd distinction of being Princesses but not, apparently, members of any particular Royal Family. This approach differed from the one accepted by George V's other relatives, who relinquished all Princely titles, not just their German designations, and acquired British titles of nobility. Under that precedent, Marie Louise and her sister likely would have been known as "Lady Marie Louise New Surname" and "Lady Helena Victoria New Surname." Though their titles as derived from their parents' designations, as bestowed by Queen Victoria, were essentially British, they were not officially Princesses of the United Kingdom. However, their unmarried status and their right to be styled Highness rendered their situations awkward, so that it was easier to allow them to retain their status as Princesses while avoiding the question of immediate family membership altogether. Princess Marie Louise attended four coronations in Westminster Abbey, those of Edward VII and Queen Alexandra in 1901; George V and Queen Mary in 1911; George VI and Queen Elizabeth in 1937; and Elizabeth II in 1953. In 1956, she published her memoirs, My Memories of Six Reigns. She died at her London home, 10 Fitzmaurice Place, Berkeley Square, a few months later and is buried at Frogmore Royal Burial Ground at Windsor Great Park. Formerly Princess Helena Victoria of Schleswig-Holstein, a member of the British Royal Family and a granddaughter of Queen Victoria. Princess Helena Victoria was born at Frogmore House, near Windsor Castle. Her father was Prince Christian of Schleswig-Holstein, the third son of Christian, Duke of Augustenborg and Countess Louise of Danneskjold-Samsøe. Her mother was The Princess Helena, the fifth child and third daughter of Queen Victoria and Prince Albert of Saxe-Coburg and Gotha. Her parents resided in the United Kingdom, at Cumberland Lodge, and the Princess was considered a member of the British Royal Family. Under letters patent of 1866, she was styled Her Highness Princess Helena Victoria of Schleswig-Holstein. She spent most of her childhood at Cumberland Lodge, her father's residence as Ranger of Windsor Great Park. Known to her family as "Thora," or sometimes "Snipe," in reference to her sharp facial features. She officially used the names "Helena Victoria" out of her string of six Christian names. Princess Helena Victoria never married. She followed her mother's example in working for various charitable organizations, most notably the Young Men's Christian Association (YMCA), Young Women's Christian Association (YWCA) and Princess Christian's Nursing Home at Windsor. During World War I, she founded the YWCA Women's Auxiliary Force. As its president, she visited British troops in France and obtained the permission of the Secretary of State for War, Lord Kitchener, to arrange entertainments for them. Between the world wars, she and her younger sister, Princess Marie Louise, were enthusiastic patrons of music at Schomberg House, their London residence. After a German air raid damaged the house in 1940, the two princesses moved to Fitzmaurice Place, Berkeley Square. In July 1917, King George V changed the name of the British Royal House from the House of Saxe-Coburg-Gotha to the House of Windsor. He also relinquished, on behalf of himself and his numerous cousins and brothers-in-law who were British subjects, the use of their German titles, styles, and surnames. Princess Helena Victoria and Princess Marie Louise ceased to use the territorial designation "of Schleswig-Holstein-Sonderburg-Augustenberg." Instead, they became known simply as "Her Highness Princess Helena Victoria" and "Her Highness Princess Marie Louise," giving them the odd distinction of being Princesses but not Princesses of any family or monarchy. Although the two Princesses had borne German titles, they were both quintessentially English. 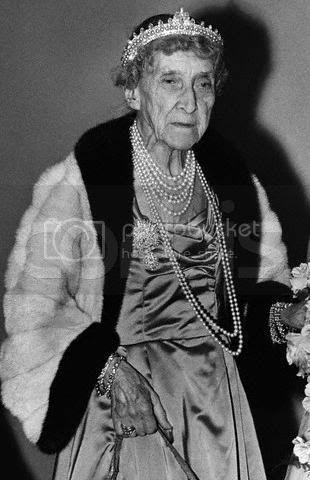 In ill health and using a wheelchair after World War II, one of Princess Helena Victoria's last major appearances was at the 20 November 1947 wedding of her first cousin twice removed, the then-Princess Elizabeth, to the then-Lt. Philip Mountbatten, RN. Princess Helena Victoria died at Fitzmaurice Place, Berkeley Square. Her funeral took place at St. George's Chapel, Windsor and she was buried at Frogmore Royal Burial Ground, Windsor Great Park. I am reading Louisa, Lady in Waiting which is about Louisa Grey McDonnell, Countess of Antrim and Lady in Waiting to both Queen Victoria and Queen Alexandra. The Countess of Antrim started service with Queen Victoria the year Louise was married and was invited to the wedding. The book, which is not in novel form but consists of diary entries, short summaries of royal terms of waiting and numerous photographs and mementoes, has the wedding invitation which states that Ladies are to wear Evening Dress Demi-Toilette and Genlemen, Levee Dress. The caption under the illustrated portraits of Aribert and Louise state that he tried to divorce her after squandering her dowry. Queen Victoria sent a firm telegram: "Tell my granddaughter to come home to me. V.R." Louise's sister, Princess Thora as she was commonly known, became great friends with Lady Antrim. Thora often travelled with her grandmother, Queen Victoria, and like Lady Antrim, Thora became a keen cyclist. When the Queen died, the Countess of Antrim was in Canada where her sister was the wife of the Governor-General. Thora wrote to thank the Countess for her kind words: "I know you of all others would be able to realize what the loss of darling Grandmama is to me." Thanks so much Zonk for starting this thread! It's nice to read and learn about the granddaughters of Queen Victoria who have been kind of "forgotten." You are very welcome Katrinna! Vasillos - I love that story of Queen Victoria! I believe Marie's father in law attempted to divorce Marie Louise when she was out of the country and shame her. Victoria put an end to that. 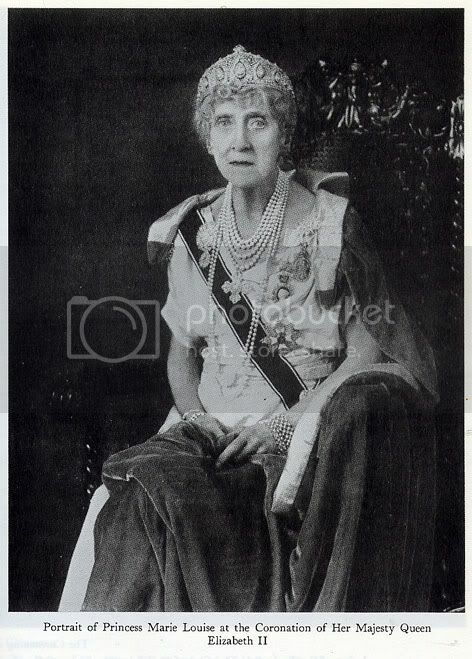 I have read Memories of Six Reigns....and Princess Marie Louise (known to the family as Louie) is a great joy! P 141. "Louie, thinking things over, Aribert really did you a good service when he turned you out of house and home. Imagine if you were still in Berlin with this awful war going on. What would you have done? I prompty answered, "I should have run away home to England." The King, with a twinkle in his eye, said, "Then I should have had to intern you!" To which I replied, "That would have been indefinitely preferable to remaining in Germany." ETA: Interesting to know that she always considered England home. I believe that she had an awful experience living in her husbands homeland. Marie Louise was also a godmother to the present Duke of Gloucester. I cannot omit mentioning my dear little Duchess of GLouceseter whose affectin and consideration for me I value and treasure. Now that I am a Londoner, with no garden of my own, she constantly sends me flowers, fruit,and fresh vegetables from her country home, and I cannot express my appreciation of what this means to me. Another, to my mind, very miportat link with the Duke and Duchess is that their yournger son, RIchard, is my godson. Helena Victoria looks slightly like Mary of Teck. That is a great story about Marie Louise's possible interment in England. I bet George and Mary had a great chuckle over her comments. The anecdotes are just wonderful. I had read in a royal magazine, I think, that Marie Louise had a wonderful sense of humor and a dry wit. Helena Victoria seems to be more of a mystery because I've read very little about her except in your thread, Zonk. Of course, I should have looked her up in Wiki! Doh! According to her mother's Wikipedia article, Helena Victoria assisted her mother as companion and secretary to the Queen. Princess Beatrice carried out the main duties, and Princess Helena, assisted by her daughter, took the minor duties that Beatrice did not have time for. During the last months of her life, Queen Victoria dictated her journal to Helena Victoria. I also found it interesting that their eldest brother, Christian Victor, served in the British army but the other surviving brother, Prince Albert, served in the Prussian army. He was excused from service during WWI so he would not have to fight against the British, but he spent the war in Berlin. Albert was the only one of Princess Helena's children to have a child, an illegitimate daughter named Valerie Marie. Albert wrote to her to inform her of her paternity shortly before his death in 1931. When Valerie Marie needed to prove her lineage before her second marriage, Helena Victoria and Marie Louise both signed statements officially acknowledging her as their brother's child. Why was there a need to prove her lineage before the second marriage? Was this a royal union while the first one was not? Despite never marrying, Prince Albert fathered a daughter, Valerie Marie. Born 3 April 1900 in Liptovský Mikuláš, Hungary, Austria–Hungary, she was placed almost immediately after her birth with Anna Rosenthal and her husband Rubin Schwalb, of Jewish origin. On 15 April 1931, shortly before his death, Albert wrote to her, admitting to her his paternity. After this, on 12 May she changed her surname from Schwalb, the name of her foster family, to "zu Schleswig-Holstein". On 28 June 1925, in Vienna, Valerie Marie (then only the daughter of the Schwalb family) married the lawyer Ernst Johann Wagner, but divorced him on 14 February 1938; the childless marriage was formally annulled in Salzburg on 4 October 1940. When she intended to marry again, it became important to establish her parentage officially, as the Nazi laws prohibited marriages between Jews and Aryans. This was done with the assistance of her aunts, Helena Victoria and Marie Louise; they signed a statement attesting to her paternal lineage, who, on 26 July 1938, officially acknowledged her. In Berlin-Charlottenburg on 15 June 1939 a civil marriage took place between her and Prince Engelbert-Charles, 10th Duke of Arenberg, and, after the annulment of her first marriage a religious ceremony took place in Münster near Westfalen, on 9 October 1940; like his first marriage, this union was childless too. Valerie Marie died in Mont-Baron, Nice, France, on 14 April 1953 in a apparent suicide. She never knew the identity of her mother. Latest complete investigations and documents of adoption of the Schwalb family they have demonstrated that indeed she was daughter of Baroness Bertha Marie Madeleine of Wernitz (b. 17 August 1868 in Berlin), a Prussian noblewoman who died 4 April 1900 in Liptovský Mikuláš as a consequence of the childbirth. The letters testifying to parentage and being in the Royal line make sense now as it was during the period of the Nazi rulings. Naturally, Valerie would have to show her parentage and also since she was marrying into a German Royal House. I wonder what happened to her adoptive parents, maybe I don't want to know considering the War and her adoptive father being Jewish. It's very tragic that Valerie committed suicide. Princess Marie Louise came to stay with Louis and Victoria Mountbatten on the Isle of Wight. It was Marie Louise who delivered the letter from George V to Louis and Victoria Mountbatten, then Marquis and Marchioness of Milford Haven, which letter contained the correspondence from England's representative in Russia that there was no doubt Nicky and Alexandra and the children had been massacred. George V had also enclosed a personal letter of condolence. Louis read the letter silently and simply said, "Now at last we know." Marie Louise apparently spent the rest of the autumn (this was September, 1918) with the Mountbattens. What a heavy burden for the Princess to carry out. I thought that, too, when I saw her picture. Prince Albert, served in the Prussian army.